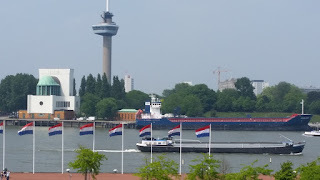 Katendrecht has been a port area of Rotterdam for centuries. 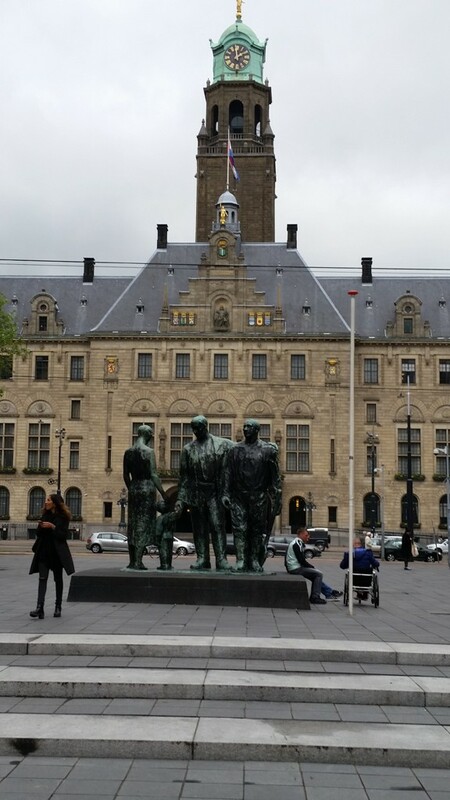 It was a rough place that most proper citizens would avoid. Besides the many commercial businesses associated with the marine industry, it was also the red light district. Before WWII it had the largest Chinese community in Europe known for their opium dens and gambling houses. 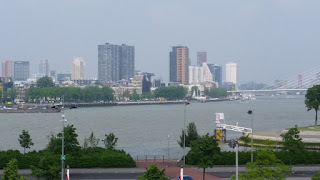 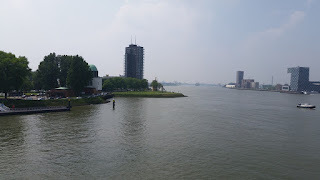 Katendrecht is a peninsula on the south side of the Nieuwe Maas River. 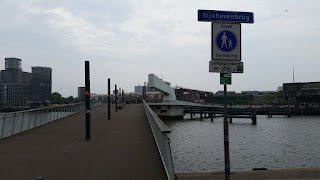 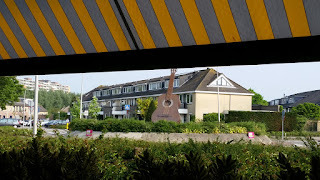 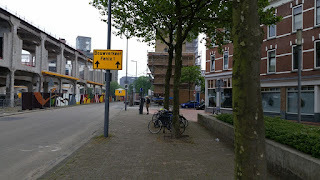 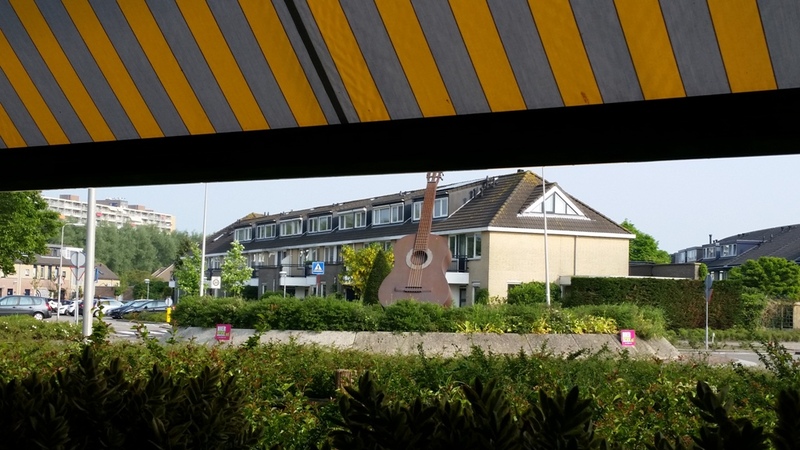 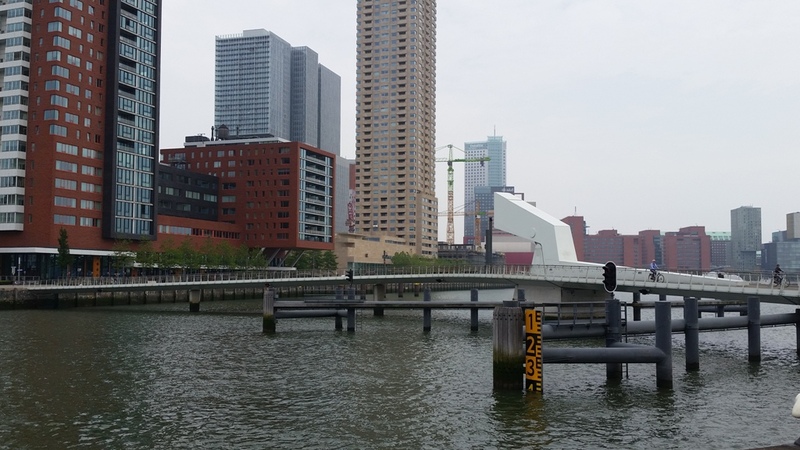 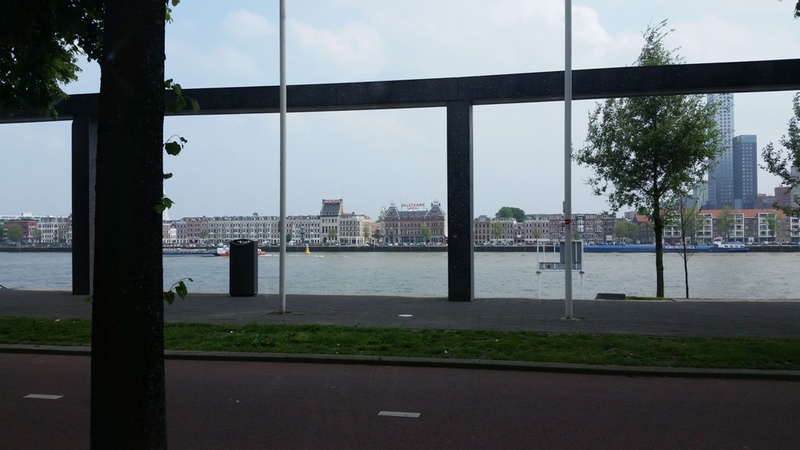 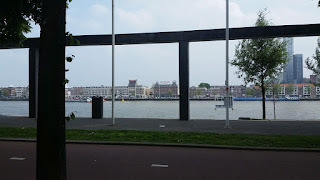 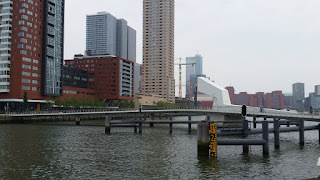 There is now a walking bridge from the Hotel New York in the Kop Van Zuid peninsula to Katendrecht. 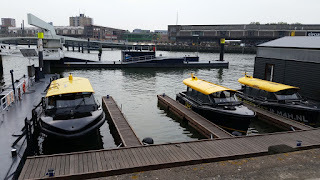 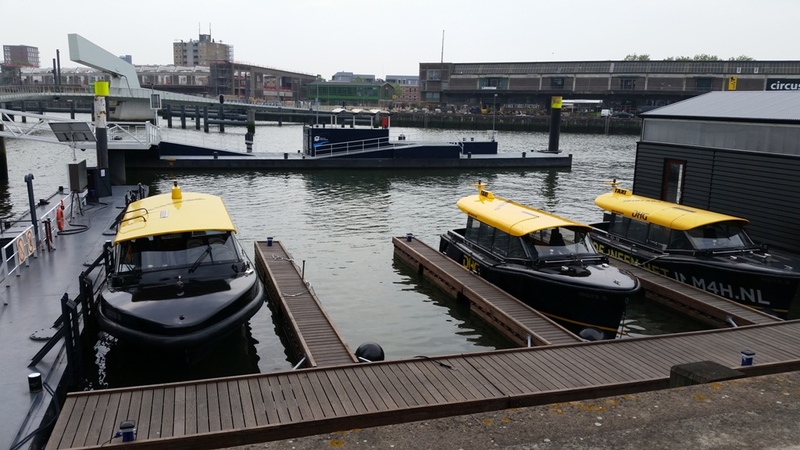 There are numerous water taxis that provide transportation around the port. 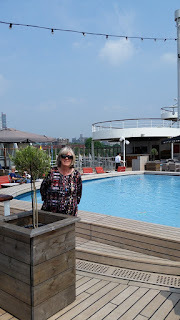 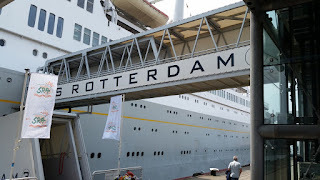 Anneke and her friend walked the bridge to see Hotel New York which was originally the home office of the Holland America Line. 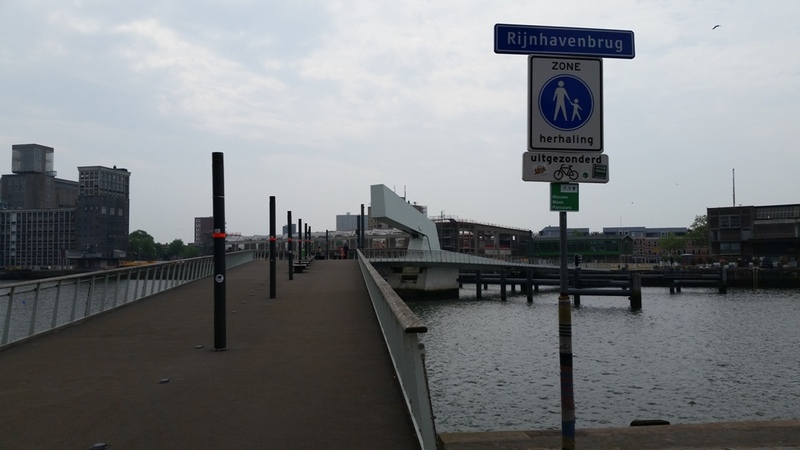 The unofficial name is "Hoerenloper" which loosely translates to Whoremonger bridge. 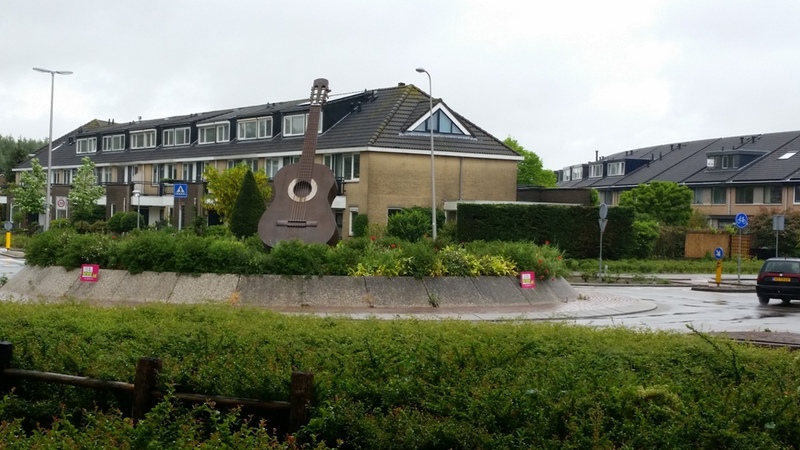 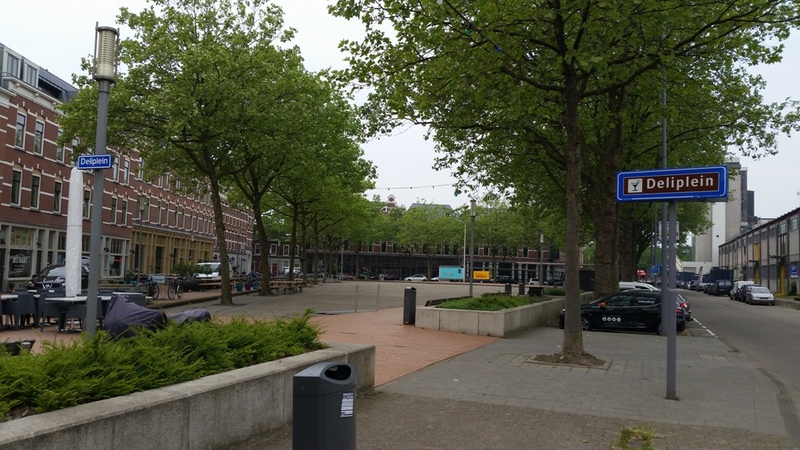 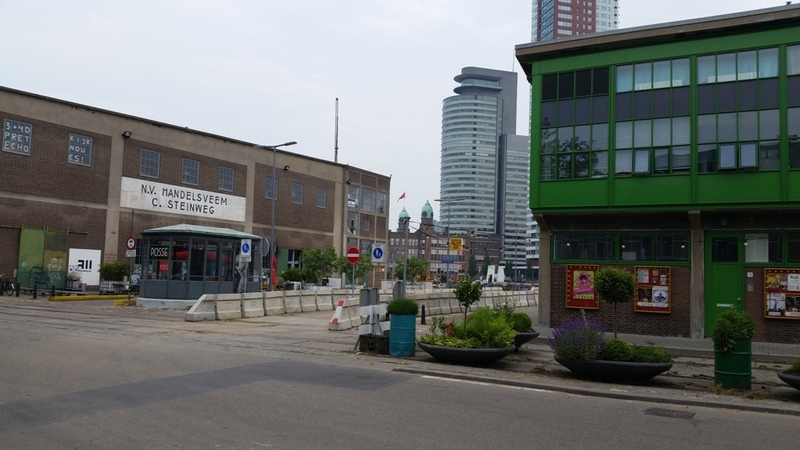 Today, with the port having moved out towards the North Sea, Katendrecht has been transformed into a family residential area. 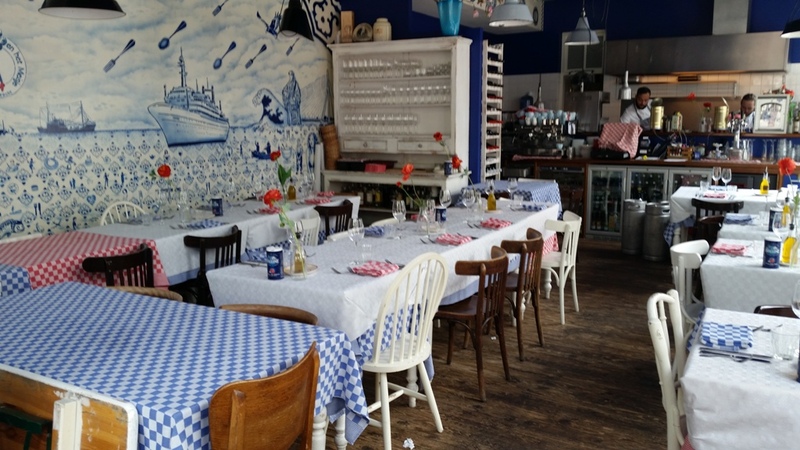 Seaman bars have turned into specialty restaurants. 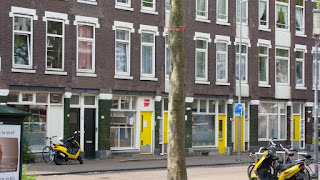 Houses of ill repute are now regular houses still with the viewing window in evidence. 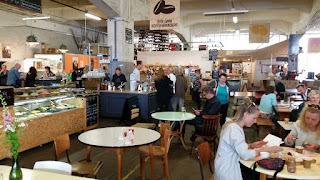 It is turning into a trendy hot spot. 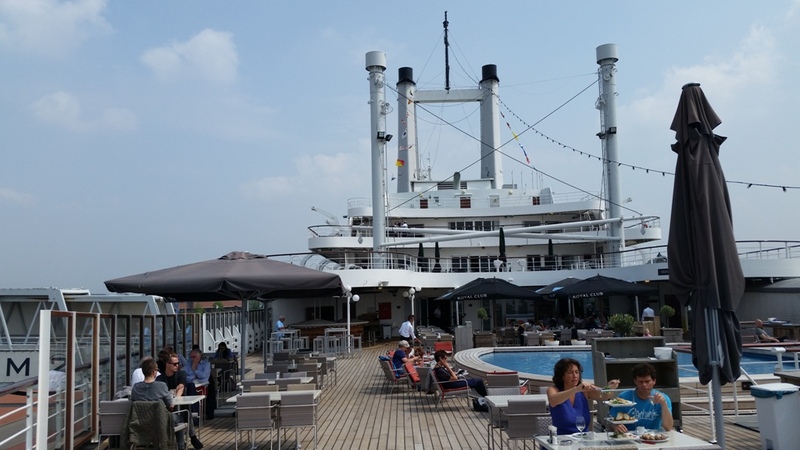 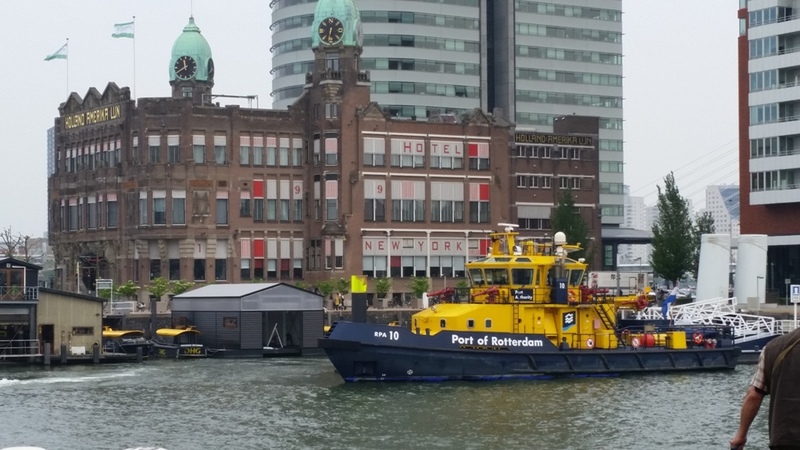 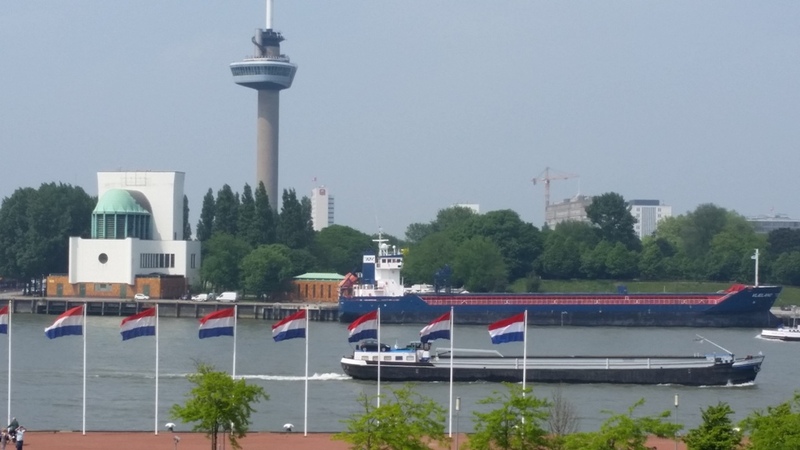 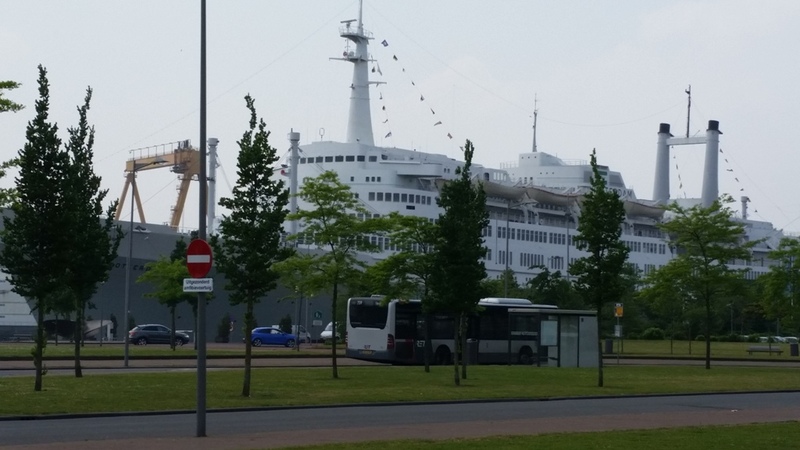 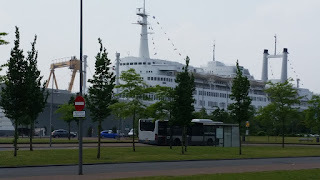 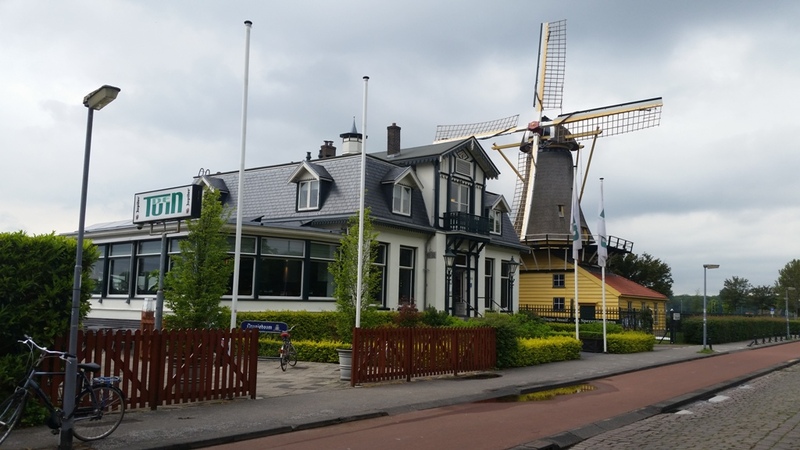 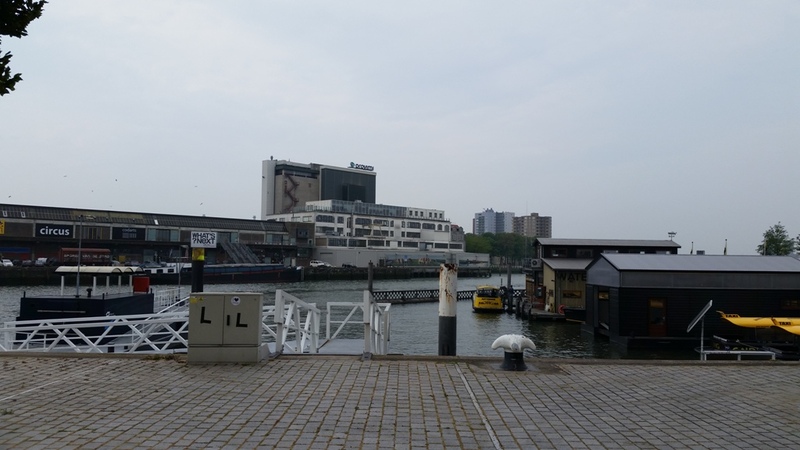 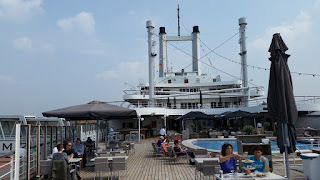 The SS Rotterdam is permanently docked in Katendrecht as a hotel/ restaurant/museum. 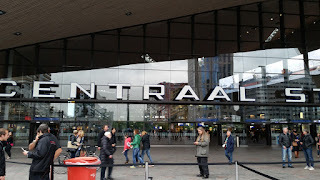 Entrance is free but for a fee you can have a tour. Its Royal Inauguration was in 1958, which Anneke attended from a distance. 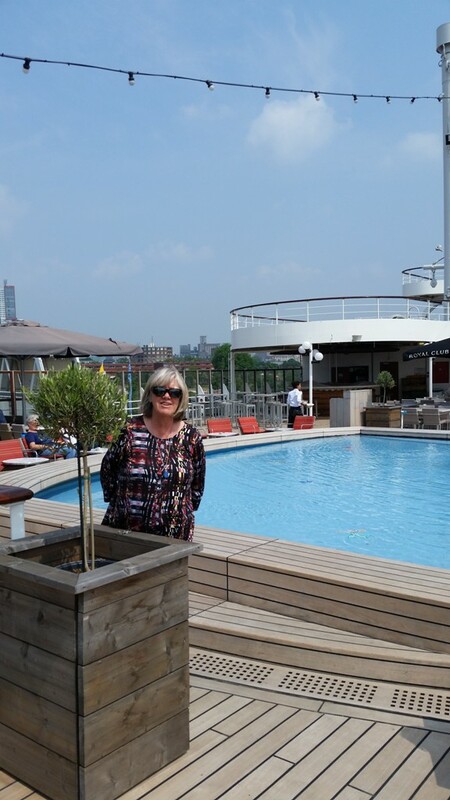 The pool deck cafe has a great view. 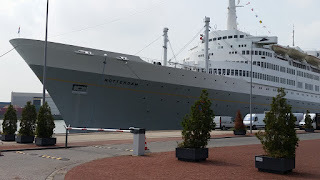 For maritime buffs, it is a must see. 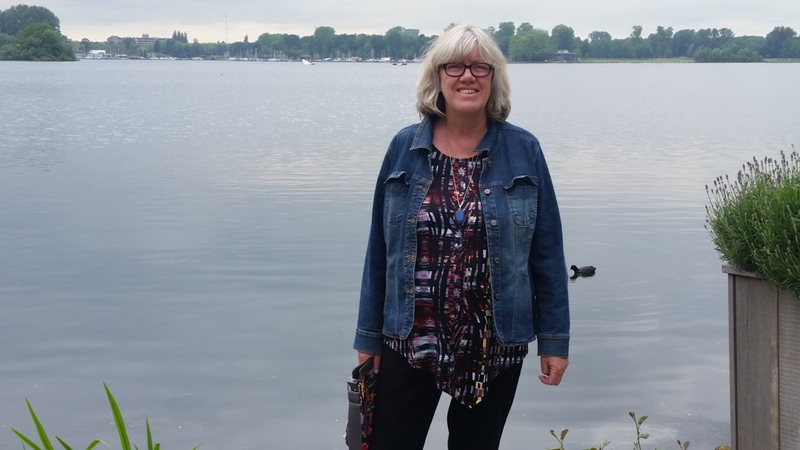 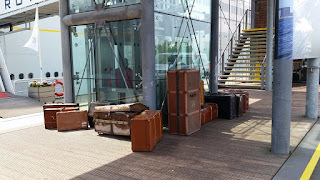 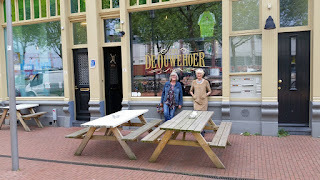 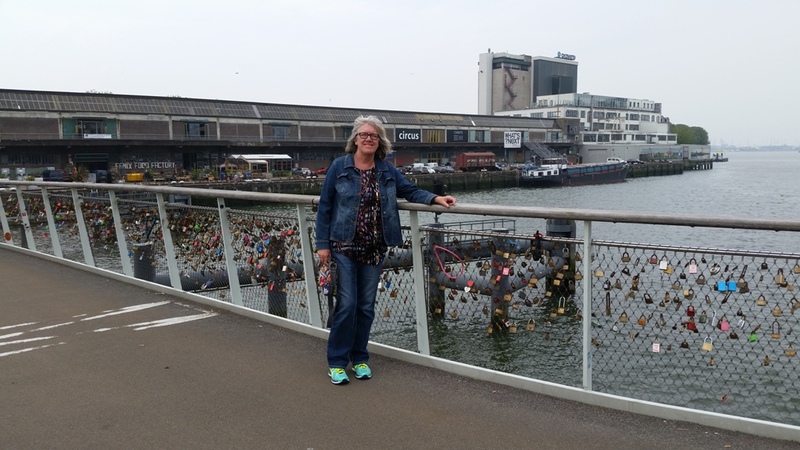 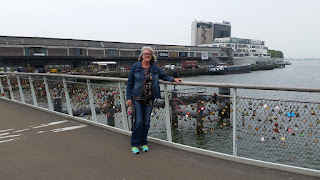 After the visit with her sister, Anneke headed to Rotterdam, where she was born, to spend some time with her friend Margreeth , who she has known since grammar school. 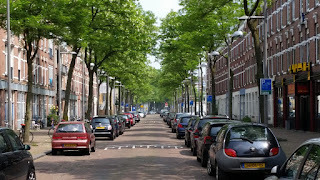 It was to be a journey through memory lane and to see all the changes since we last lived there in 1999. 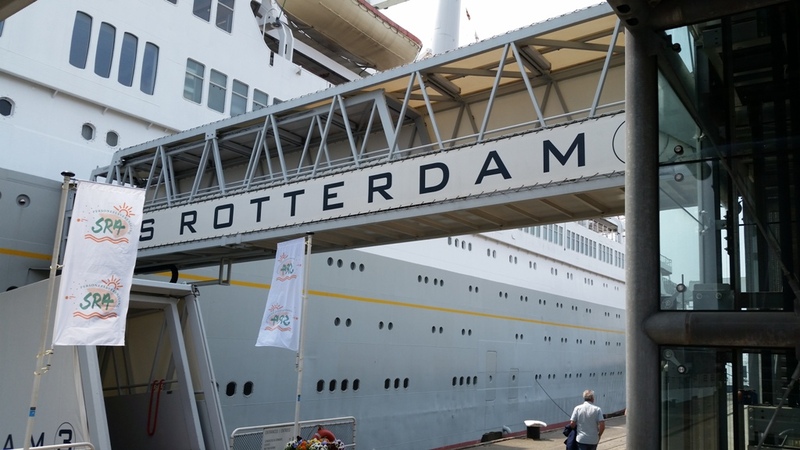 Rotterdam is one of the economic engines of the country and for many years was the largest shipping port in the world. It is also an important part of our personal history. 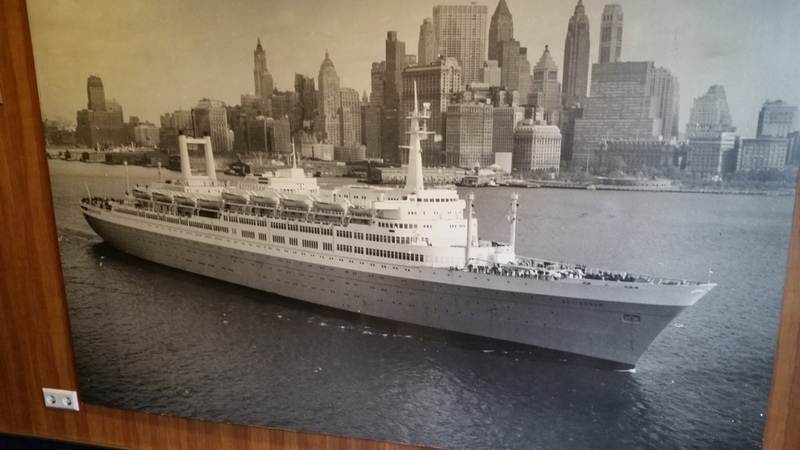 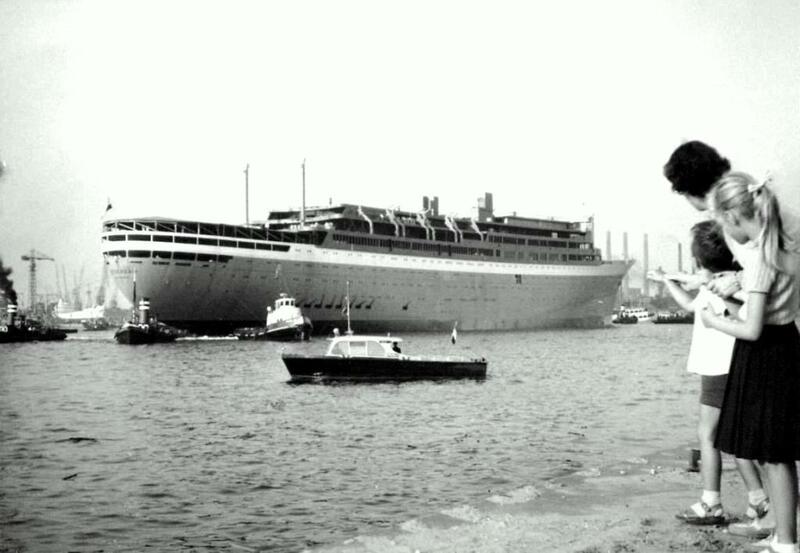 My first visit was in the late 1960's as a cadet on a training ship. 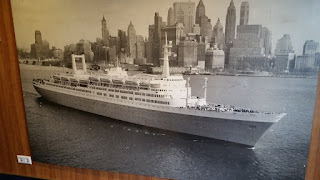 I had no clue that later, I was to spend seven years in two tours there with the Coast Guard. On the first tour I met and married Anneke and our family returned to spend my last four years in the Coast Guard in Rotterdam 15 years later. 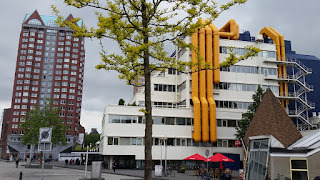 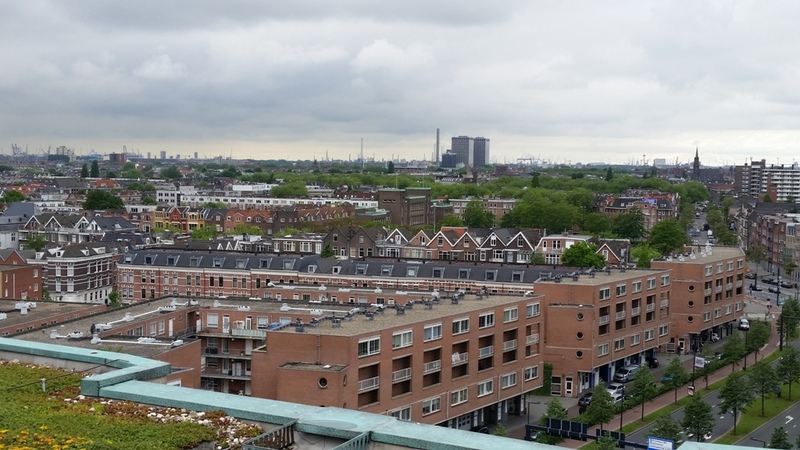 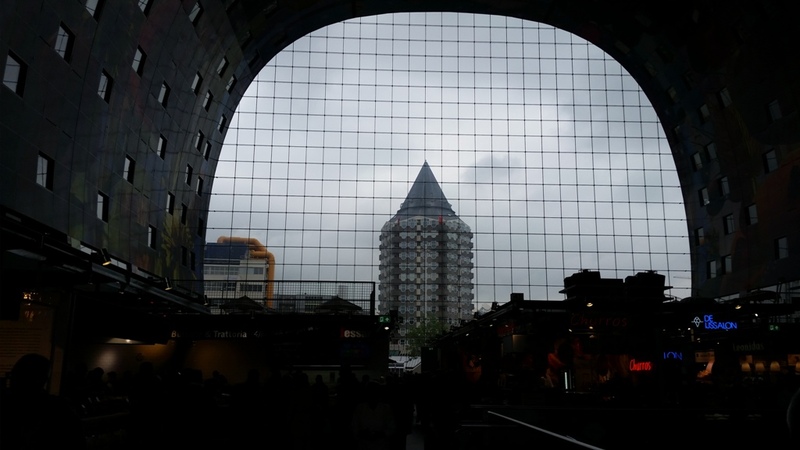 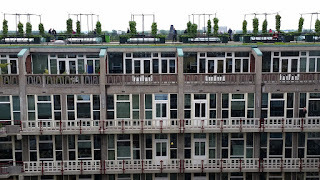 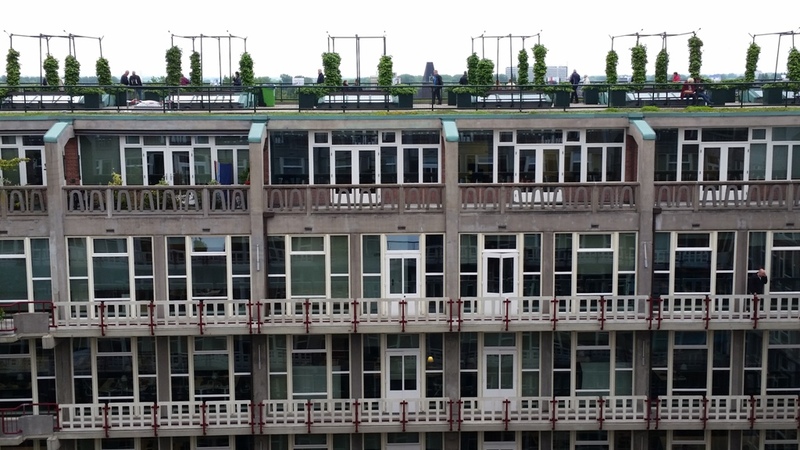 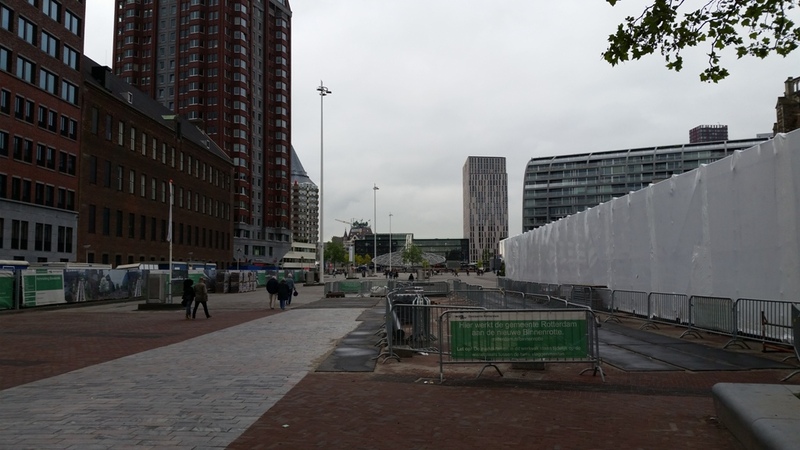 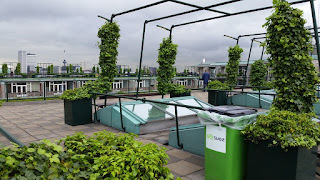 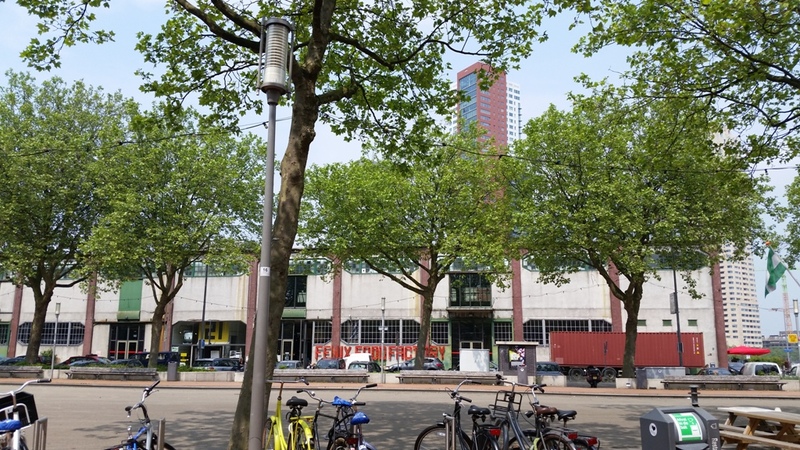 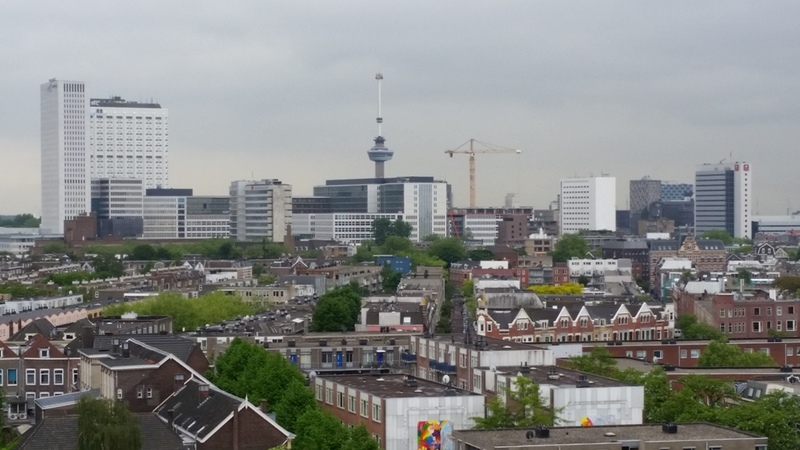 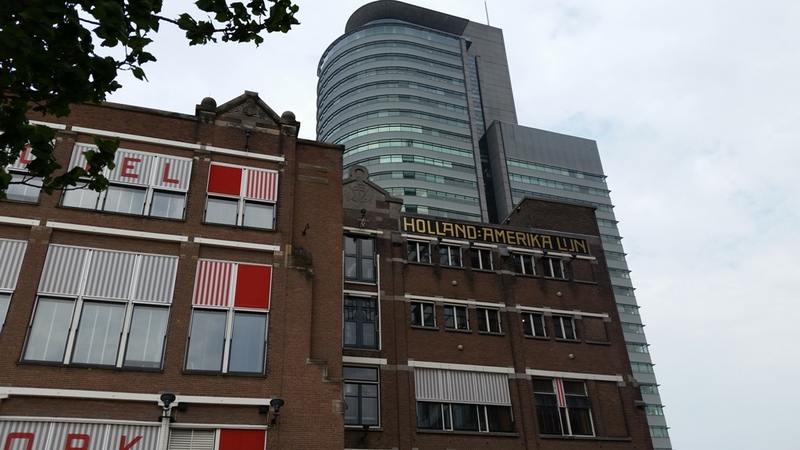 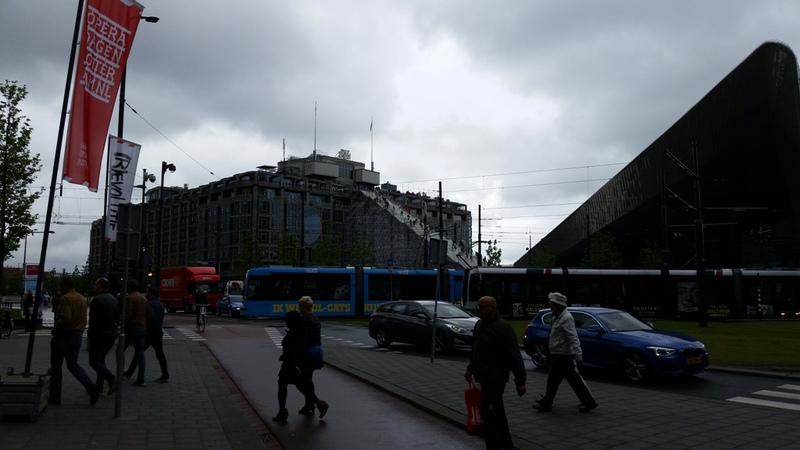 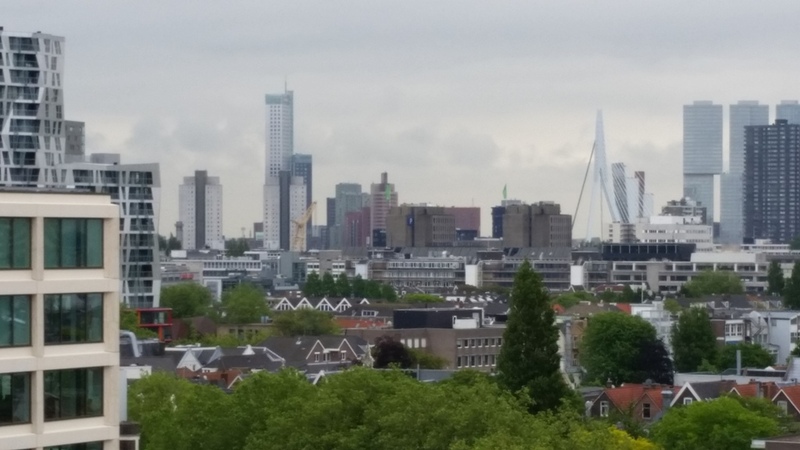 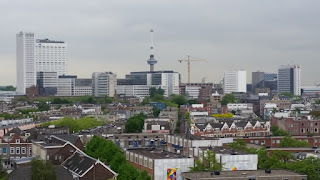 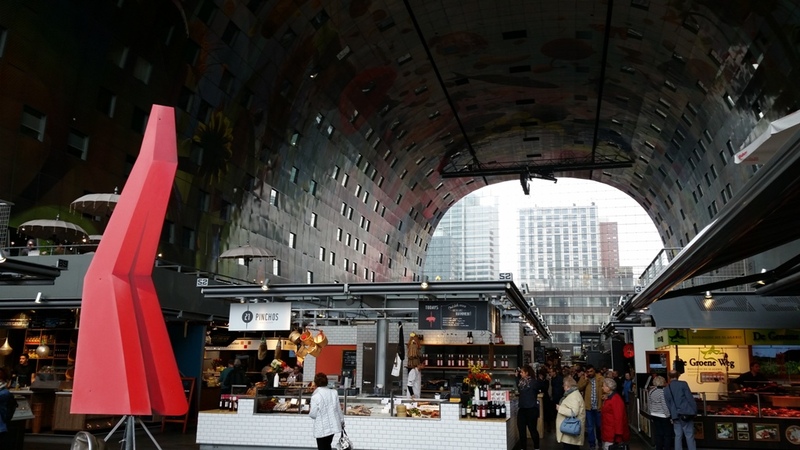 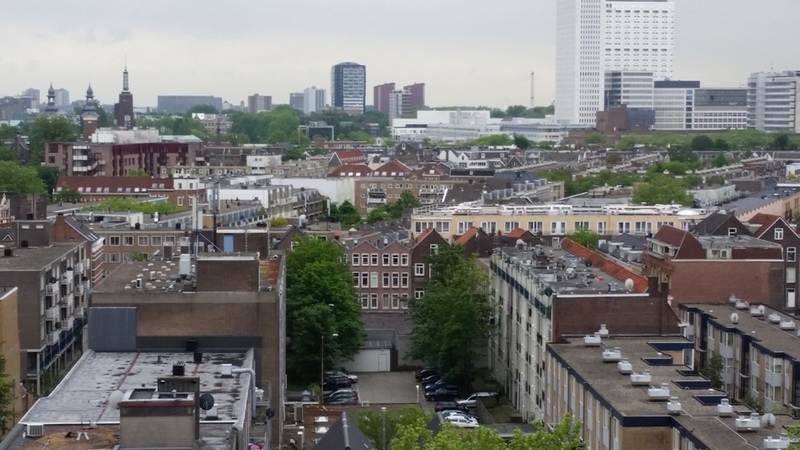 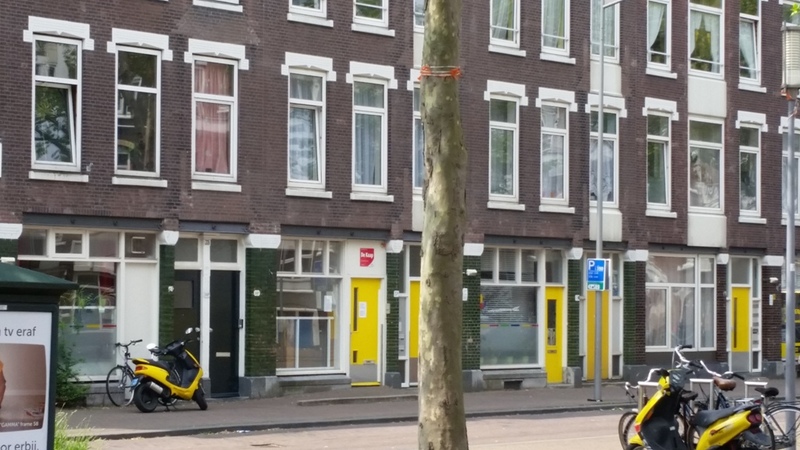 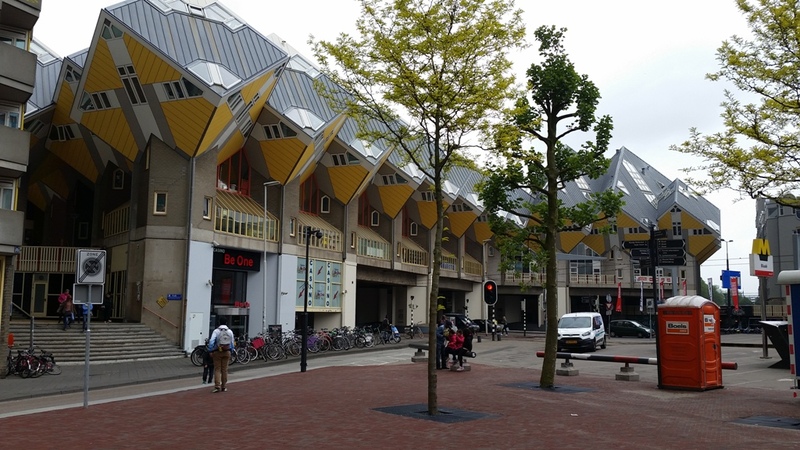 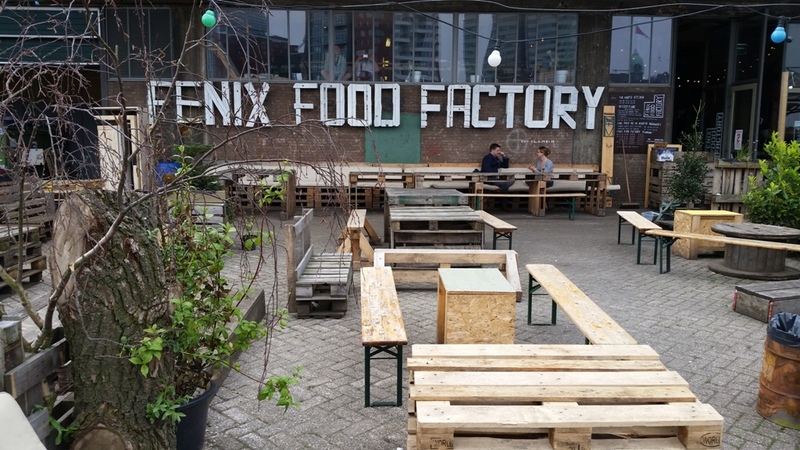 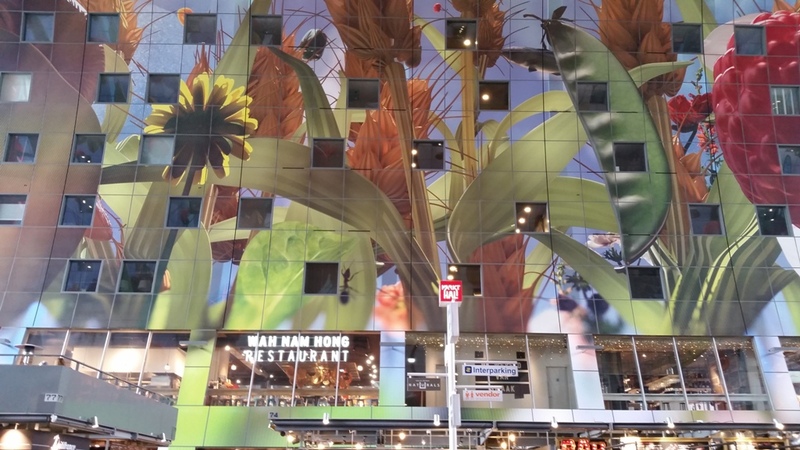 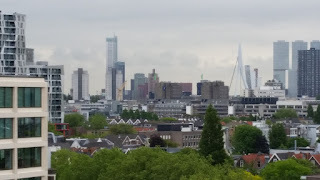 Like most cities, Rotterdam is constantly changing, but some of that change was horrific. 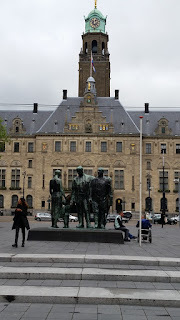 On 14 May, 1940, Germany completely leveled the city by aerial and ground bombing. The historic center of the city was nearly completely destroyed. 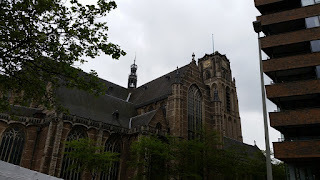 The rebuilt Sint Laurenskerk (church) is the only medieval architecture remaining. One of the building that survived was the town hall. 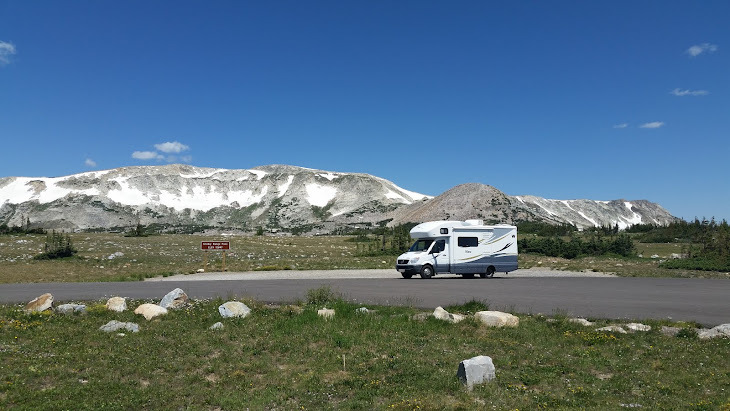 Anneke settled into her friend's home and immediately noticed the interesting view from the patio. 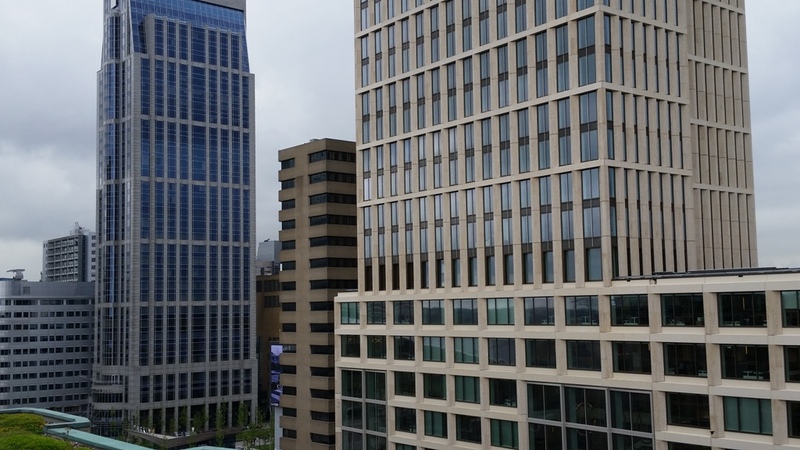 Most of their touring of the center city was on foot and public transportation. 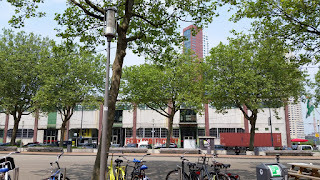 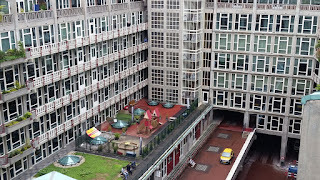 One of the first major building to be build after the destruction of Rotterdam was the Groothandelsgebouw, or large business center. 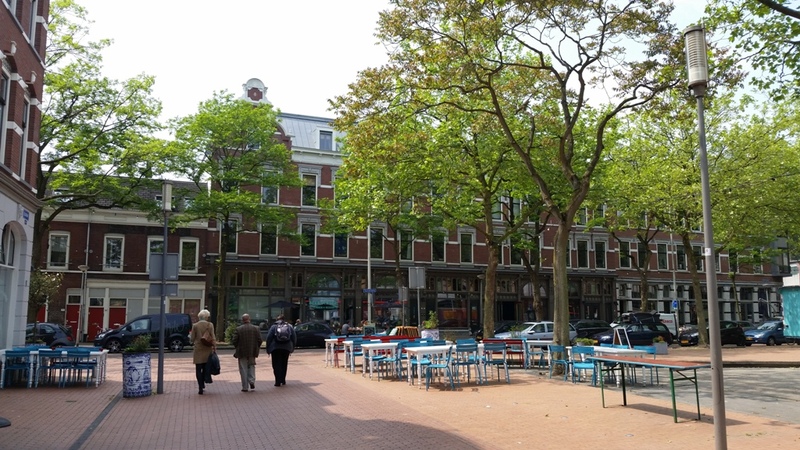 It remains an active business center and is now a national monument. As luck would have it, there was a celebration of 75 years rebuilding of Rotterdam after the war while she was there. 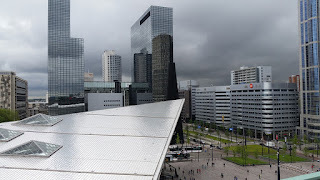 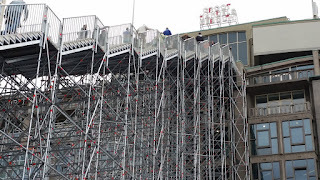 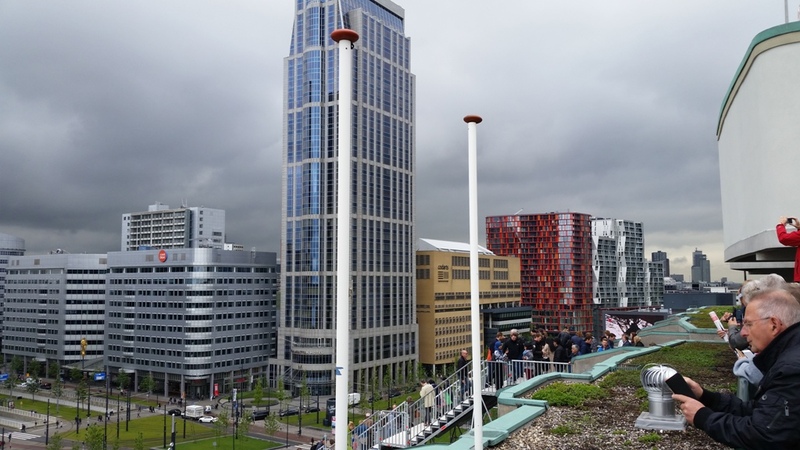 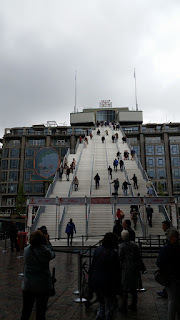 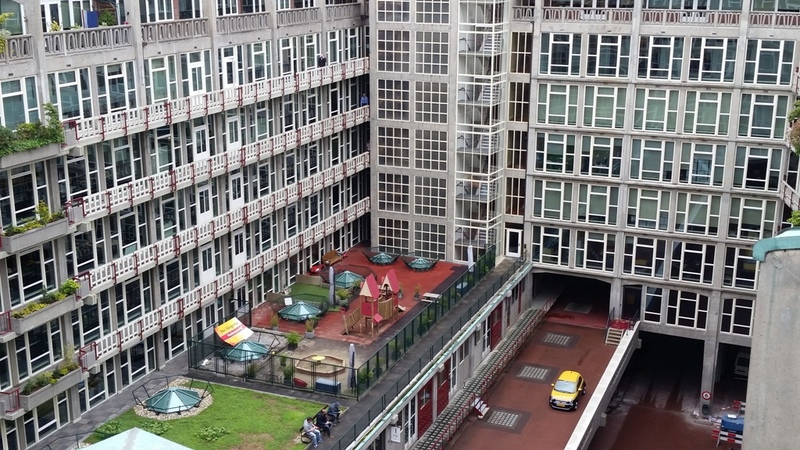 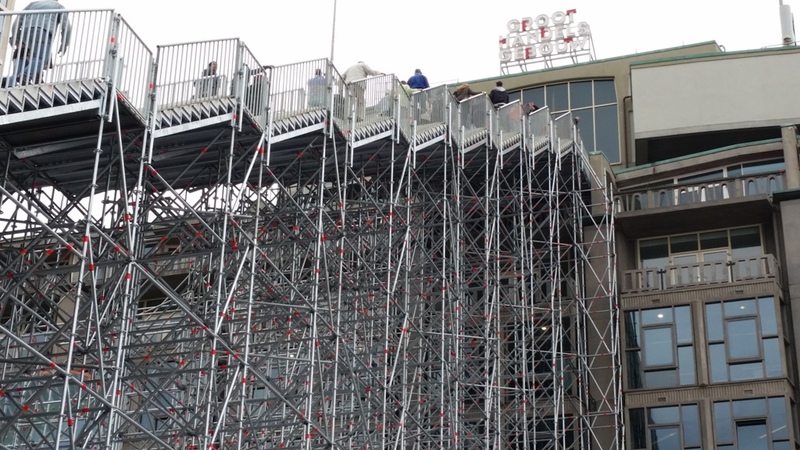 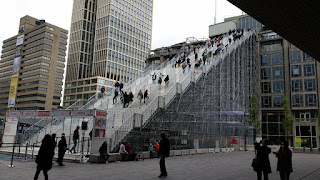 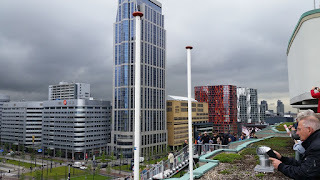 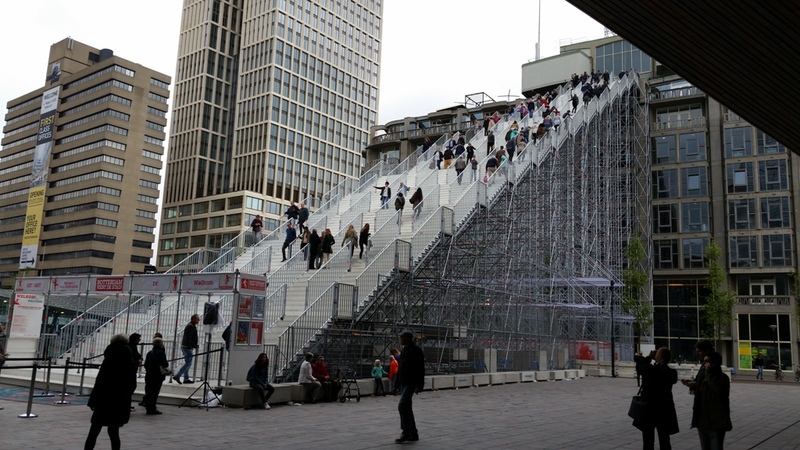 A stairs to the top of the building was constructed so everyone could reach the top of the business center for a view of Rotterdam. 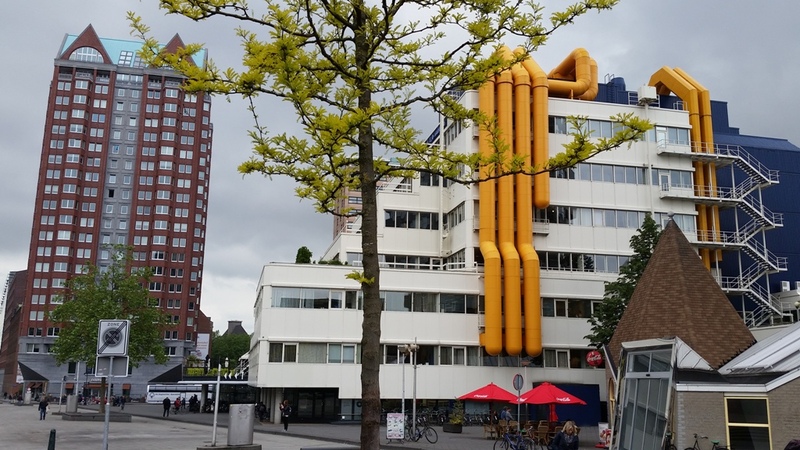 It was to only be in place for 30 days. 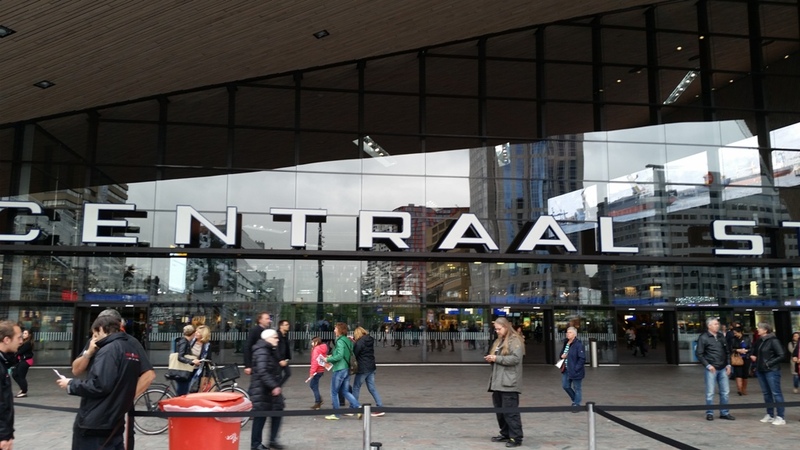 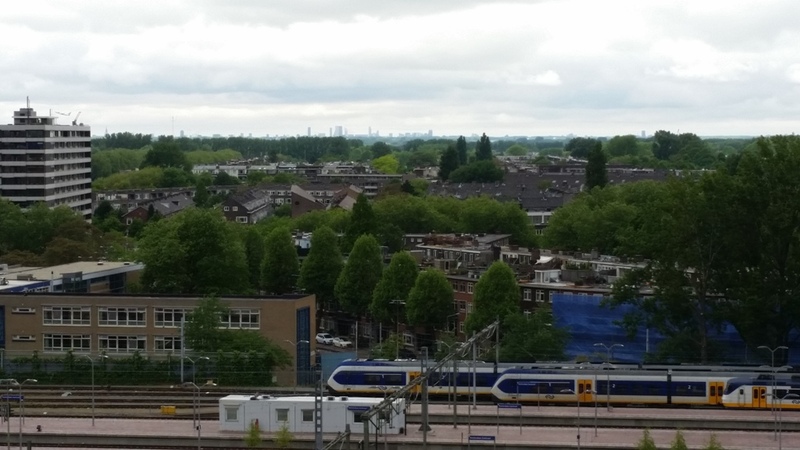 There is a complete panoramic view of the city and a very close up view of another city landmark-Central station. 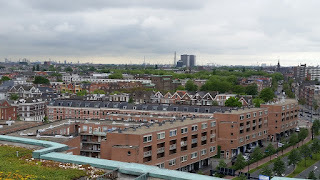 From here you can see the port , many other modern buildings and some of the remaining houses from before the war. 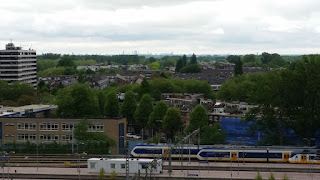 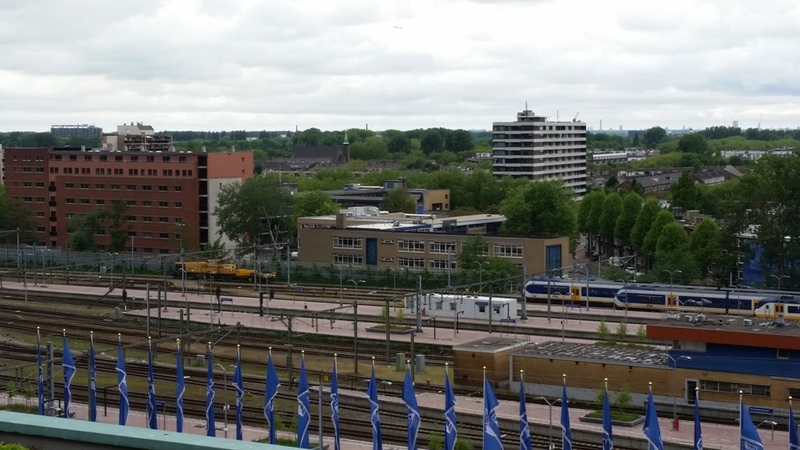 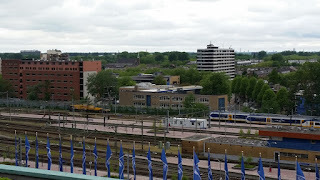 Also in the distance is the skyline of The Hague-the political center of the Netherlands. The city embraces many different architectural styles. 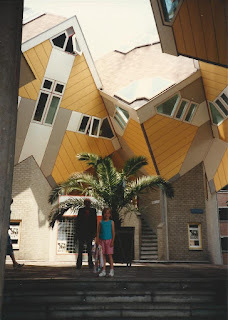 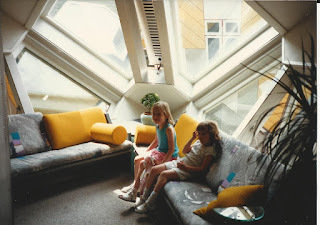 One of our weird favorites is the cube houses, which we toured in 1987. 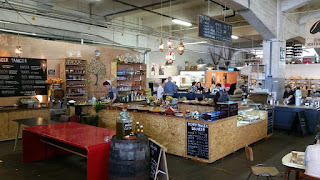 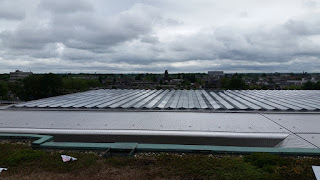 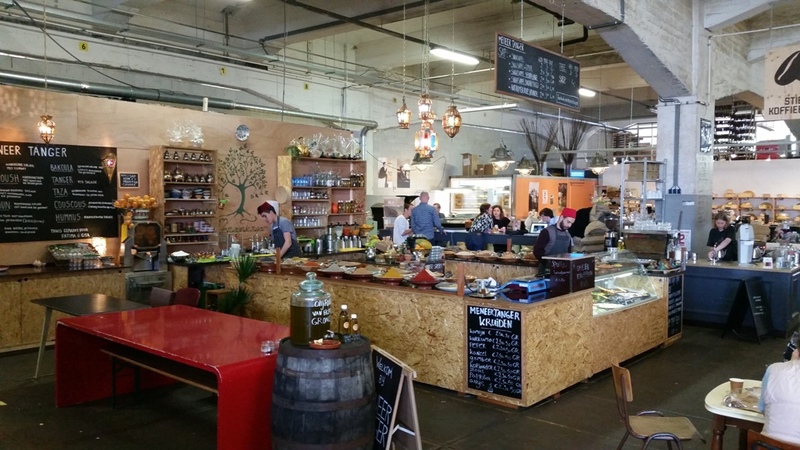 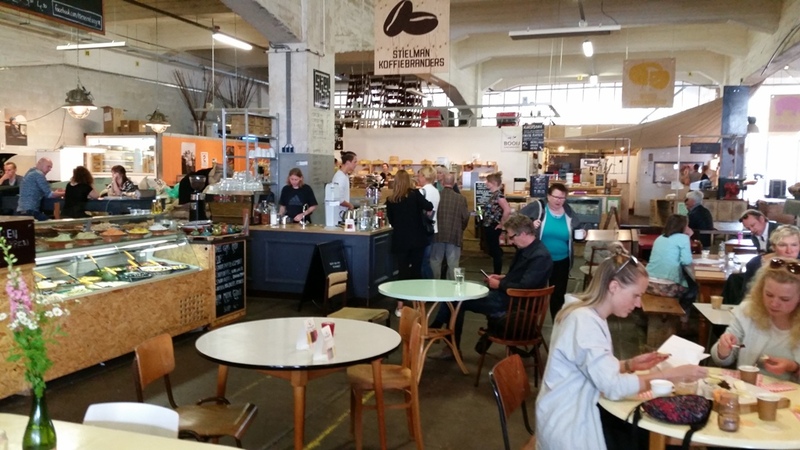 The new market hall opened in 2014. 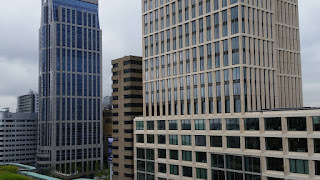 From here you can also get a glimpse of the pencil building. 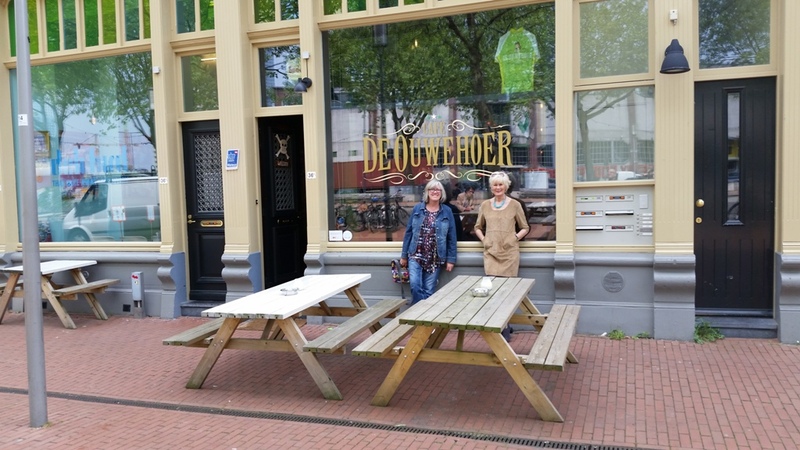 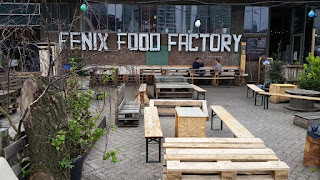 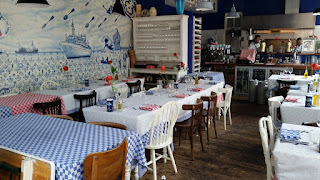 In a world where things are constantly changing, it was nice to see that the restaurant where Anneke and I had our first meal together was still there and open for business. 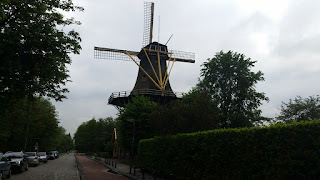 Many of these windmills date from the 1700's. 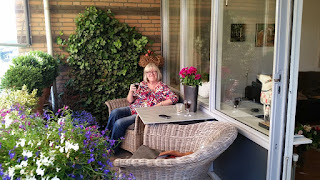 After a busy day of sightseeing, it was nice to return home for happy hour on the patio.